New York, N.Y. — Oct. 3, 2018 — PBS’s POV (Point of View), American television’s longest-running independent documentary series, took home the Outstanding Current Affairs Documentary trophy at the 39th Annual News & Documentary Emmy Awards last night. Filmmakers Feras Fayyad and producer accepted the award for their film Last Men in Aleppo. 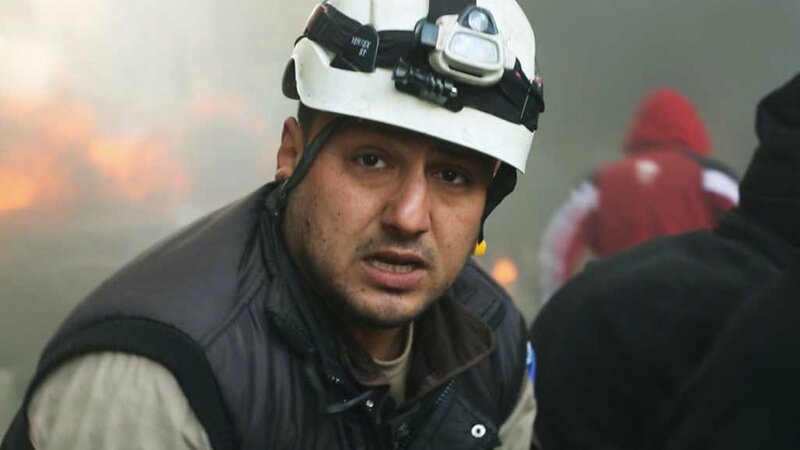 The film follows the White Helmets, a volunteer rescue group in the Syrian city of Aleppo, as they help citizens from the rubble amidst the country's civil war. This was the fifth consecutive year that a POV film received an honor from the awards showcase. The prizes were presented by the National Academy of Television Arts & Sciences (NATAS) at a ceremony at Jazz at Lincoln Center’s Frederick P. Rose Hall in New York City. PBS won 7 awards in total, more than any other network. POV received six nominations this year. Season 30 film My Love, Don’t Cross That River was nominated for Best Documentary. The full list of nominated POV films also included Almost Sunrise, Presenting Princess Shaw and The Islands and The Whales. POV’s sister-series America ReFramed, which airs on WORLD Channel, also received three nominations—the most in one year for the series—for its films DEEJ, Farewell Ferris Wheel,and Vegas Baby. This brings POV’s total News & Documentary Emmy® Awards to 38. The winning film, as well as several other nominees, are now streaming at amdoc.org/watch. The full list of winners of the 38th Annual News and Documentary Emmy® Awards is available at www.emmyonline.tv.